Este mês, o regresso do projecto de Armando Teixeira, Bullet, representa Portugal no Music Alliance Pact com o tema "6830 Miles", que encontrarão no novo álbum "Cosmic Noise Vol. 1". a esta colecção espera-se, em breve, a adição de um VOL 2 que completará a viagem de "Cosmic Noise". Este novo disco dos Bullet tem, novamente, uma colaboração de Lili que pode-se ouvir em "6830 Miles". Além deste grande regresso dos Bullet, há mais vinte seis temas de outros tantos países desta aliança internacional que se reúne, uma vez por mês, a todos os dias 15. Clique com o botão direito do rato, por cima do título da canção, para fazer o download do mp3 ou faça um download do ficheiro completo, com os vinte sete temas, através do Dropbox aqui. ARGENTINA: Zonaindie Temper - Quitapenas Temper is an instrumental rock band with influences that encompass tango, jazz, surf-rock, Hindu movie soundtracks and psychedelic music. This catchy track is from their third album, Clitoxismo: 10 Neurotransmisiones En Círculos, released last year by La Boca Se Te Haga Un Lago, a local independent label which specializes in instrumental music. AUSTRALIA: Who The Bloody Hell Are They? Kučka - Unconditional Perth native Kučka, aka Laura Jane Lowther, makes tinsel-y RnB that falls somewhere between the smooth, subdued sounds of 90s-era Janet Jackson and the cartoonish decadence of K-pop. With her vocals featured on two tracks from A$AP Rocky's debut album, LONG.LIVE.A$AP, and with a brand new EP due out later this year, Kučka is definitely an artist to keep your eye on. BRAZIL: Meio Desligado Russo Passapusso - Paraquedas Russo Passapusso, the lead singer of BaianaSystem, is about to release his first solo album. In single Paraquedas he displays a deep appreciation of Brazil's musical roots. It's a mixture of samba rock, funk and hip hop to make you dance. CANADA: Ride The Tempo Once A Tree - Howling Hayden John Wolf and Jayli Wolf may show some Europe electronica inspiration in Howling but the duo are indeed from Toronto. Each time Once A Tree drop a track on SoundCloud, they deliver with creative vocals and eargasmic production. Howling proves to be their best tune yet, experimenting with trap-like beats and chilling atmosphere. CHILE: Super 45 Adelaida - O Sea No Mundial Adelaida, a trio from Valparaíso, are members of the new brood that's renewing the Chilean independent rock scene. In their debut album Monolito, they reclaim the best moments from the 90s: grunge's anger, shoegaze's walls of sound and the versatility of experimental noise. COLOMBIA: El Parlante Amarillo Flying Bananas - Funk No Name Based on the legend that tells the story of a man who committed suicide by jumping off a seventh floor disguised as a banana, as you can see in this video, Bogotá quintet Flying Bananas make a musical tribute of the deceased using funk, jazz and hip hop. These seasoned musicians have no fear and float between genres with the power of bass, samplers and percussion, as we can hear in Funk No Name. DENMARK: All Scandinavian The Olympics - Leaves Art-pop quintet The Olympics are in the process of following up on their debut album Mother and Limbo EP with 10 songs in 10 months (to be released as an album later). You can check out the first two, Monument and 4U, while the third great one, Leaves, is a MAP exclusive download. DOMINICAN REPUBLIC: La Casetera Franny & Zooey - I Love You I Love You is taken from Franny & Zooey's new EP, Bottled Up And Ready To Go. Following the same line of influences as Heavenly, Go Sailor and Talulah Gosh, they exhibit strong pop melodies with some power structures and punk, reminiscent of the Ramones. ECUADOR: Plan Arteria Sexores - Historias De Frio Historias De Frio, the second album by shoegaze and dream-pop band Sexores, flirts with distortion, ethereal wave and melancholy. The title track envelops the listener in a lethargic, mellow sweetness. ENGLAND: Drowned In Sound Lucy Claire - Stille Perhaps it's obvious with a site name like Drowned in Sound, but we're a sucker for a swell of strings that leaves you feeling suspended in a sea of melodies. Our love of classical may have begun with watching A Clockwork Orange as a child and blossomed with falling in love with Sigur Rós but my-oh-my is modern classical music on fire right now. Lucy Claire from London melds big strings and glorious electronics. ESTONIA: Rada7.ee Firejosé feat Sander Mölder - Mas O Menos Firejosé (aka Mark Stukis) is an artist born in Estonia and tempered by the jungles of Central America. His roots go deeper and influences run wider than the rainforests of Tortuguero, though. Similarities to Detroit Swindle and Joy Orbison have been drawn, but most recently Firejosé quenched the thirst for Baltic beats with live shows alongside Gold Panda and Bonobo. A well-kept secret from the hype machines, it is the unquenchable desire for deep, shuffled beats that keep Firejosé ablaze. FINLAND: Glue Saints Of Winter - Lullaby March Inspired by the Finnish Lapland, songwriter Mikko Hautakangas came up with the songs that form the debut of his latest project Saints Of Winter, which is defined by three words: snow, melancholy and hope. The album, Bridges And Windmills, is an indie-folk affair in which songs come to life thanks to the vocals of lead singer Sari. You can pay as much as you wish to download it on Bandcamp. Here is the beautiful opener Lullaby March. GREECE: Mouxlaloulouda Opsis - Antigone Based on deep drones, eerie noise, dislocated beats and classical vocal choruses from Byzantium and Renaissance, Opsis' sublime double album Antigone/Persae conveys musically the eternal agonies of man as they are portrayed in the works of the tragic poets of the ancient world, Sophocles and Aeschylus. It is a personal contemplation on the events taking place in those two tragedies and the emotional variations and torments of their most substantial characters. INDONESIA: Deathrockstar Cupumanik - Luka Bernegara Luka Bernegara ("Pain of Nationalism") is a song about the dirty, bloody politics in Indonesia. The heavy distortion and angst displays a heavy influence of 90s grunge music. As one of the few bands left who label themselves grunge, they enjoy a strong following in Indonesia. IRELAND: Hendicott Writing Red Sail - Wheel Your Wings Home Built around winding, subtle folky melodies, Red Sail stand out above Ireland's folk-pop masses. Wheel Your Wings Home is their latest single, a vocal-led rustic beauty backed by Damien Rice's wonderful touring cellist Vyvienne Long. 2012's harmony-drenched Paper Cutouts EP and lyrically nuanced follow up We Still Build Forts EP have already seen this unassuming project head across Europe; this delicate musical partnership is threatening to take flight. ITALY: Polaroid Yakamoto Kotzuga - All These Things I Used To Have Yakamoto Kotzuga is not Japanese. His real name is Giacomo Mazzucato and he is a 20-year-old Venice-based producer. His sound is influenced by Shlohmo, Shigeto, Gold Panda and Flying Lotus, just to name a few. He's going to release an album on La Tempesta International and it will be great. But you should forget all these notions and just let his music vibrate and take you to the deepest regions of outer space. JAPAN: Make Believe Melodies StillSound - Towns Based out of the lovely capital city of Okinawa, StillSound makes rubbery electronic music taking sonic cues from the likes of Toro y Moi, and latest song Towns is a slippery bit of funk that moves at an easy-breezy pace perfect for the start of summer. Despite the beachside vibe, Towns conceals a bleeding heart, the vocals revealing far deeper emotions than simply chilling out. MEXICO: Red Bull Panamérika Montenegro - Blackout With melodic, heavy and catchy guitar riffs like The Cure, and deep vocals like Joy Division, you might think we are somewhere in 80s England. Not at all. Montenegro come from Mexico City, and Blackout sounds fresh without the trite of being too "innovative". They're noisy without turning their backs on melancholy (in fact, they just look down at their feet). This quartet embodies the spirit of DIY and seem to make music for their own joy, and fortunately also for ours. PERU: SoTB Los Filipz - Positivo Formed in 2004, Los Filipz make something called reggae power - a mix of funk, rock and reggae obviously. The band is promoting their second album Presente, which tries to create a link between people and the world around them. PORTUGAL: Posso Ouvir Um Disco? Bullet - 6830 Miles Vladimir Orlov is the leader of Bullet. However, in reality, Orlov is just an alter-ego for the multi-instrumentalist, vocalist, composer and producer Armando Teixeira, who has visited us before in the Music Alliance Pact. 6830 Miles is taken from Cosmic Noise Vol. 1, the third album by Bullet, in which the vocals by Lili take center stage; the second volume will see Orlov's vocals come to the fore. 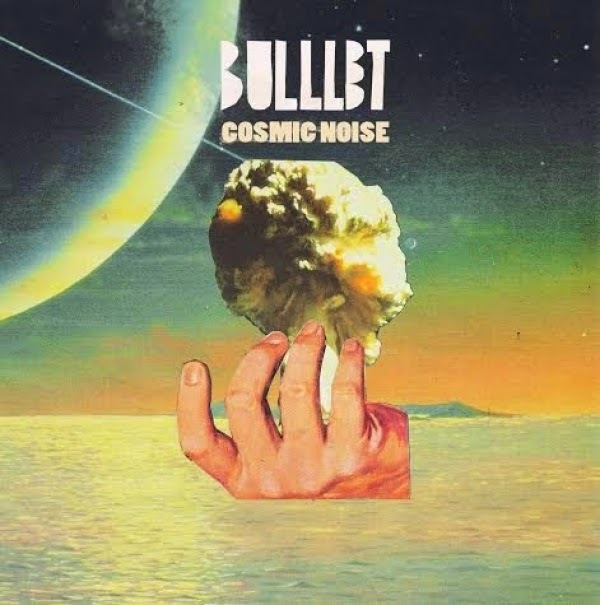 Bullet should please those into bands such as Air, Saint Etienne or Stereolab. PUERTO RICO: Puerto Rico Indie Dead Hands - Perdido Sin Ti (Ricky Martin cover) Ricky Martin is Puerto Rico's premier international pop superstar. Indie Martin is a celebration of his career and musical legacy, reinterpreted by emerging artists from the county's independent music scene. The full compilation will be made available online through Discos Diáspora in August, but you can listen to a new cover each Tuesday via PuertoRicoIndie.com during June and July. Noise and ambient producer Dead Hands is in charge of the third weekly single, an exclusively MAP download. His refreshing take on the fan-favorite Perdido Sin Ti reaches for the pop perfection of The Postal Service, with glitchy melodies and a driving beat that bolster the dual boy-girl vocals sung by Francisco Valls and La Nikko. ROMANIA: Babylon Noise Bohemian Groove - Sanctuary From hard rock to psychedelia and blues, Bohemian Groove is reminiscent of 70s rock bands such as Cream, Black Sabbath and Led Zeppelin. Sanctuary starts off softly, taking you to a magical place where a wise dog whispers truths of life in your ear, then culminates with Sabbath-like riffing and a mind-bending keyboard solo. It's taken from the power trio's debut album Event Horizon. SCOTLAND: The Pop Cop Nieves - Winter Glasgow duo Nieves sure know how to make a stunning first impression. With a simple acoustic guitar/piano set-up they deliver debut song Winter with immaculate poise, an elegant sadness pervading as singer Brendan Dafters uses the changing of the seasons to tell the story of a relationship's end. MAP exclusive download Winter and new single Symmetry (check it out on SoundCloud) are taken from Nieves' debut EP, due out later this summer. SOUTH KOREA: Indieful ROK Hyun Lee Yang - Is Help On The Way? Hyun Lee Yang made a name for himself as the leader and vocalist of emo-punk band 99anger. After a decade-and-a-half, 99anger disbanded in 2012 but Hyun Lee Yang continued to write songs and in May he finally released his first solo single. Is Help On The Way? is an excellent start: lyrics still in English, the band replaced by an acoustic guitar and a melody that lends itself well to repeated listening. SPAIN: Musikorner C.I.A.N.U.R.O. - Purity C.I.A.N.U.R.O. is the Spanish response to Kap Bambino, Crystal Castles or even Purity Ring. They are a trio formed by acid-synth lovers influenced mainly by synth-punk, witch house and post-rave. Their music is as dark and breathtaking as it gets, and Purity, taken from their second EP, is no exception. UNITED STATES: We Listen For You Bro. Stephen - The Shape The music of Bro. Stephen just seems to float. On The Shape, the listener is treated to a glider of a song, where Bro. Stephen elevates the craft of folk music to a visceral experience of changing tempos and gentle yet powerful vocals.